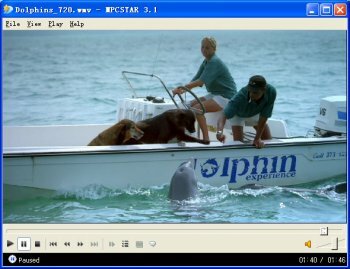 MPCSTAR is a setup package of a Video Player and many Codecs. It contains a user-friendly Player and carefully seletected Codecs to support lots of different video formats. With MPCSTAR, you should be able to play all your movies downloaded from the internet. Everybody has favourite players this one might not be the best in the market but it is preloaded with most codecs so You do not have to search the web all the time for a strange codecs. Mediocre at best. Stick with Media Player Classic and K-Lite coded pack or KMplayer or GOM Player of those are what you're into. For those interested, the core player here is called Tiger Player. Good luck finding it though as most links are no longer in existence (but who cares, it's crap anyway! ).